The ancient village of Mortehoe lies just a mile north of Woolacombe and sits high above the beaches of Grunta and Rockham. This beautiful stone built village with tea rooms and pubs is a welcome stop for walkers on the South West Coast Path, which passes through Mortehoe. Just a short walk along the coast path from the village is Bull Point Lighthouse and Morte Point where the views around the North Devon coastline are incredible. In the summer enjoy a tractor and trailer ride up to the Point to catch a glimpse of the seals that live on the northern side. A very old harbour town, Ilfracombe became popular with holiday makers in the Victorian era when steam power enabled the town to boom. Victorian architecture still dominates in this hilly location, which cradles the pretty harbour, from where you can set sail to Lundy Island or around the local coastline. Alternatively, you might prefer to experience a relaxing fishing or wildlife boat trip. Over the past few years, Ilfracombe has experienced somewhat of a renaissance with contemporary artist Damien Hirst opening up his restaurant '11 The Quay' along the harbour and his bronze clad statue 'Verity' becoming a focal point for visitors. Other attractions in the town include its aquarium, beautiful park and theatre. 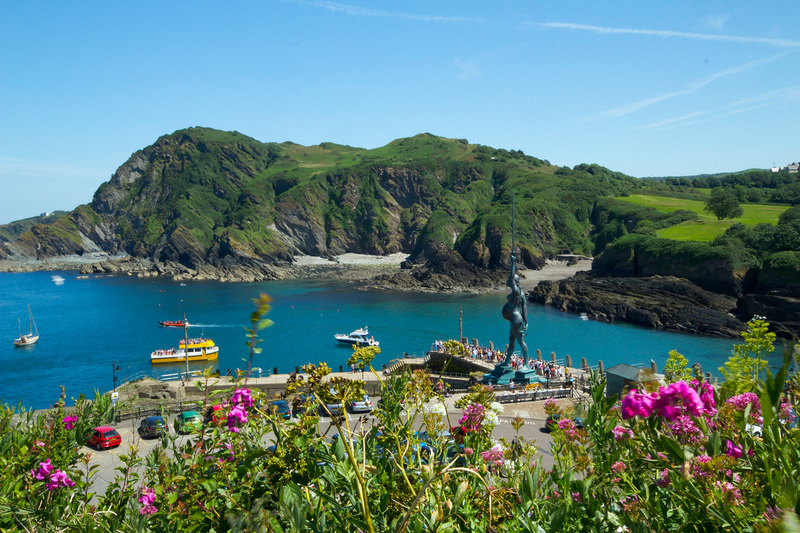 Ilfracombe is host to a number of rocky beaches including the famous “Tunnels” beaches, where children can play safely with inflatables in a tidal pool, savour food in the excellent café or enjoy the soft play centre. The Tunnels are also the ideal place to celebrate a wedding, with Devon Beach Court the perfect setting for the honeymoon. 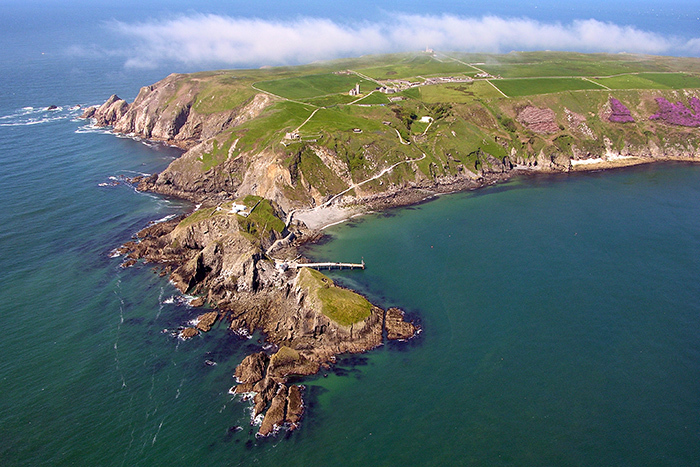 Owned by the National Trust, this dramatic island steeped in myth and legend lies about 20 miles west of Ilfracombe and is inhabited by a small population of locals, a warden and an amazing variety of birds and wildlife, the most famous being the Puffin. The three mile long island is home to England's only statutory Marine Nature Reserve. The wealth of marine life which surrounds the island remained largely undiscovered until the development of the aqualung allowed marine biologists to study the seabed. It soon became apparent that there was an amazing array of marine animals and plants to be found within this small area. One reason for this is because of the wide variety of underwater habitats which exist around the island. Lundy is very popular for those above and below the sea. It can be visited from March to October from Ilfracombe or Bideford on the MS Oldenburg, or by a chartered helicopter. The island is also the home of the Lundy Pony, a breed which has been carefully managed by the Lundy Pony Breed Society since 1984. Due to the harsh winter environment of the island, with its poor vegetation and severe weather, the ponies grew to be incredibly tough and hardy. They rarely exceed 13.2hh in height. Lundy Ponies are strong and compact and are useful as mounts for children, as they are both attractive animals and good natured. Combe Martin lies just north of Ilfracombe and stretches down a long vale to a picturesque cove with a sheltered shingle/sand beach. The town, which claims to have the longest high street in the country, used to be a busy harbour, exporting strawberries, hemp and silver, which were peculiar to the area. It's now a thriving holiday destination with pubs, tea rooms and gift shops. To the east of the town are Exmoor National Park, Combe Martin Wildlife and Dinosaur Park and Exmoor Zoo, which are all worth a visit when staying in the area. If you are interested in staying in Combe Martin, view our Combe Martin self catering cottages including small and large properties. A half hour's drive east from Woolacombe and within the Exmoor National Park are the dramatic and beautiful coastal villages of Lynton and Lynmouth, fondly nicknamed England's 'Little Switzerland'. Lynton is perched high on top of cliffs above Lynmouth, which are joined by road and more interestingly by a water-powered railway, which is open to the public and provides wonderful scenic views over the Bristol Channel. There are many pubs and tea rooms here set in amazing scenery, and with good facilities and numerous interesting activities, including walks along the river, through pretty woods and by the sea. 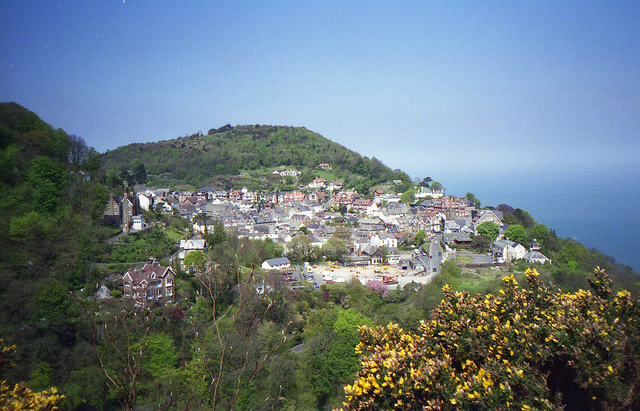 Lynton and Lynmouth are a must day out for tourists all year round. Trout and Salmon fishing can be found locally too, as well as coastal boat trips. For the keen walkers, why not head up river to Watersmeet, a National Trust property set amongst the trees. There is an excellent tea room here and the views of the river are incredible. 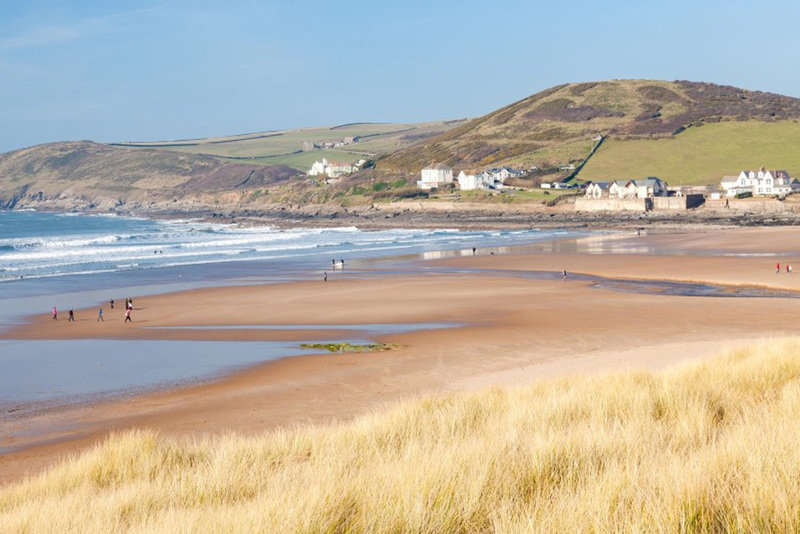 Croyde is a world famous surfing destination and has boomed in popularity as the surf industry has blossomed in this country. Its steep and powerful waves are thanks to the shape of the bay and the sand banks it produces, combined with good quality Atlantic swells. The village itself remains one of the prettiest with the many thatched cottages and the rolling hills that surround it. Plentiful tea rooms, ice cream parlours, restaurants and pubs make this a hive of activity all year round. We're only scratching the surface on here! our Croyde guide will fill the gaps! 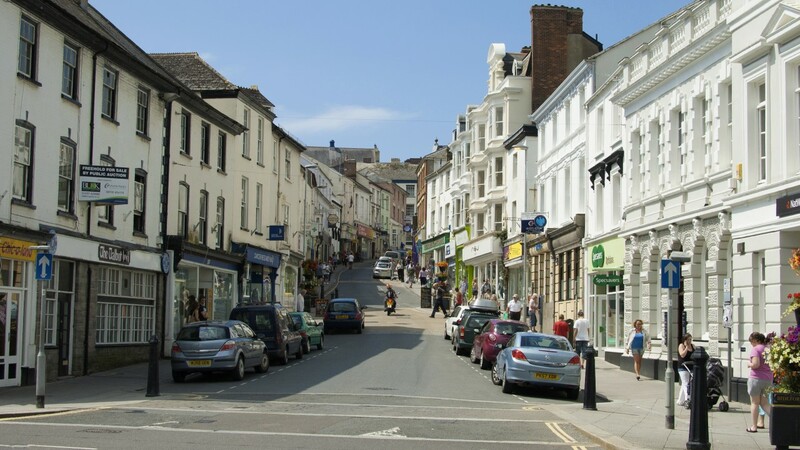 Barnstaple is the main market town, shopping and business centre in North Devon. Sitting on the River Taw it offers a great selection of shops, cafés, restaurants and pubs. Barnstaple dates back to the Viking times and has many architectural sites for the keen historian. The daily Pannier Market in the centre of the town is famous for its local food, produce, arts and crafts. Recently the Tarka Tennis Centre has been built with six indoor and six outdoor courts. There is also a leisure centre and multi-screen cinema. June is when the town has its own art and drama festival; many international acts can be found at the Queens or Landmark theatres. There is also an exciting ‘fringe’ event with venues throughout North Devon. 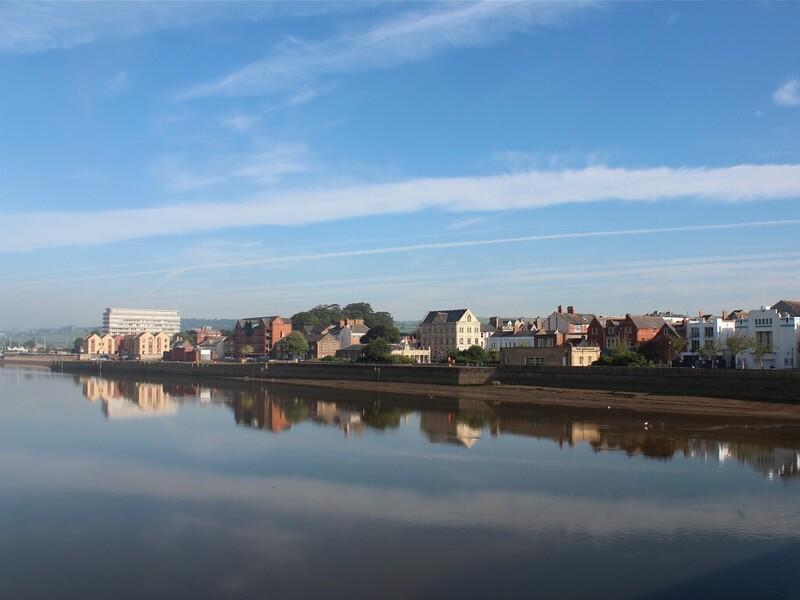 With improvements to infrastructure including the Western Bypass, traffic congestion is a distant memory and Barnstaple continues to be a thriving community and a gateway to North Devon's Golden Coast. For more things to do in Barnstaple, check out our Barnstaple holiday tips guide. Bideford is another large market town that lies alongside the River Torridge and has many similar assets to Barnstaple. Just beyond the towns is where the Taw and Torridge rivers converge just before they enter the sea, forming the Taw and Torridge estuary, a haven for wildlife and, in particular, migratory birds. Bideford boasts of being a resort, market town and port, as well as being an active player in the fishing industry. It has a distinctive character with its medieval bridge, working quay and narrow streets and buildings, all steeped in tradition. It also has a wide selection of restaurants and shops to choose from. Closer to the estuary is Appledore a very pretty small fishing village with a distinctive ‘arty’ feel hosting its own visual arts festival every May bank holiday week, and a popular book festival at the end of September. It is the home of Hockings famous ice cream and Skern Lodge Activity Centre. Across the river from Appledore, is Instow, which during high tide can be reached by boat. Instow has its own beach and promenade, where you can watch the world go by. Both villages have excellent pubs and restaurants and are definitely worth a visit for experiencing North Devon's relaxed atmosphere. The cobbled, traffic-free high street of this world famous fishing village, built into a cleft in a 400 foot high cliff, tumbles its way down past whitewashed cottages festooned with flowers to a tiny working port. With its maritime atmosphere, stunning views and peaceful tranquillity, Clovelly is a wonderful place to enjoy a day trip. The village is famous for its donkeys, which traditionally carry goods up the hill, and sledges, which bring them down again! 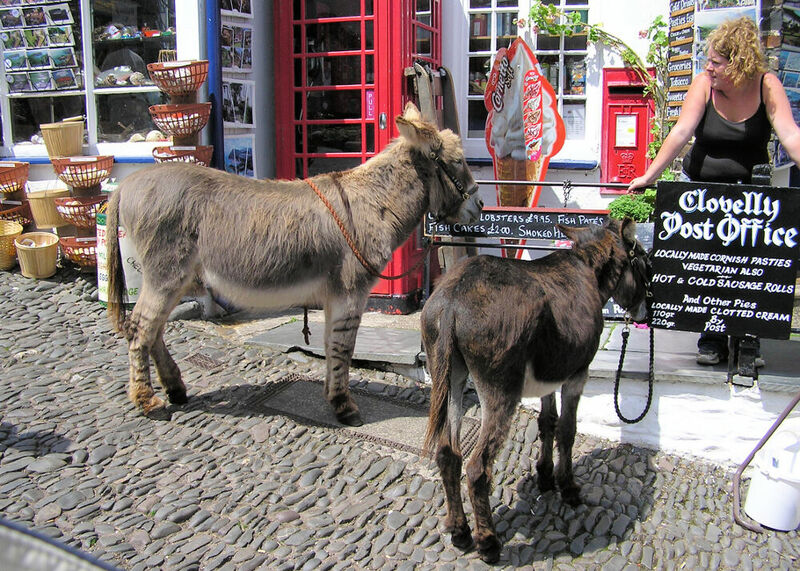 Clovelly also enjoys links with Charles Kingsley, Turner, Dickens and the Spanish Armada. This picturesque village is situated in a deep narrow valley, which is heavily wooded in places. The rocky cove has many rock pools and there is a small sandy beach, which remains a tranquil spot even in the height of summer. 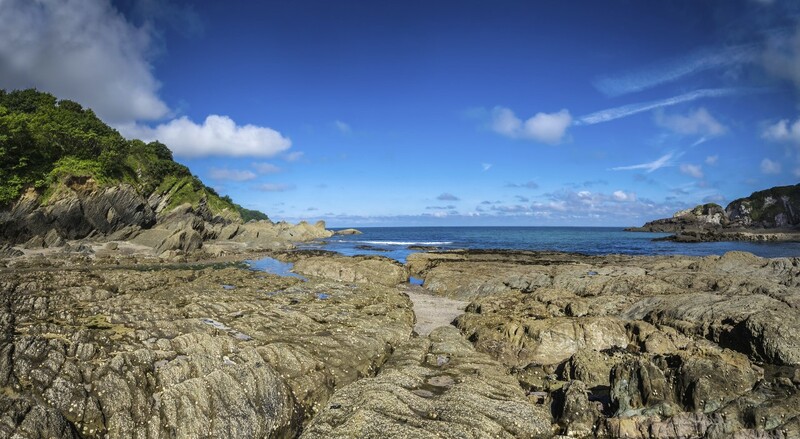 Lee Bay lies in an Area of Outstanding Natural Beauty, boasting spectacular scenery. It is often referred to locally as 'Fuchsia Valley' during the flowering season, as many of the village hedgerows are ablaze with the scarlet flowers. 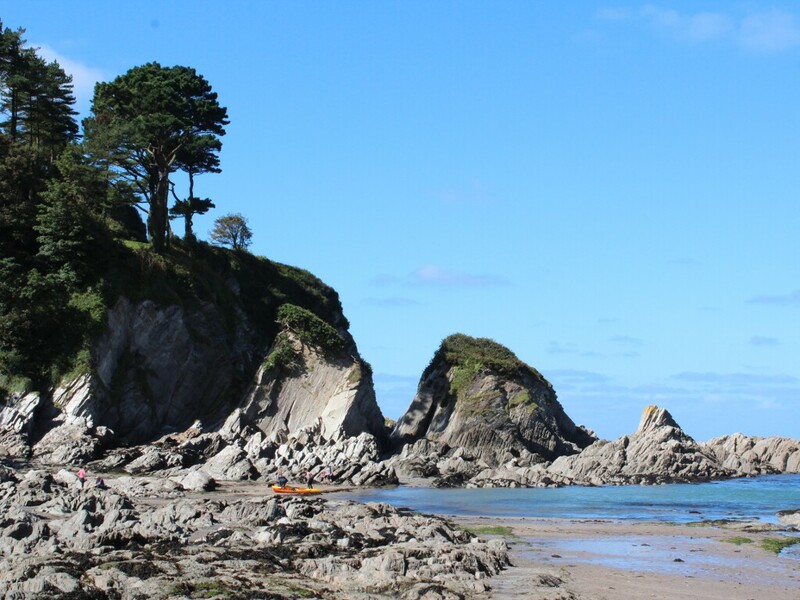 Our guide to Lee Bay is available to fill in any gaps we may have missed! Exmoor National Park is only 11 miles from Woolacombe and whatever time of year you visit you are sure to experience the full extent of its beauty; from early spring with its snowdrops and the bluebell carpeted woods, to the primrose covered hedgerows of late spring, through to summer when Exmoor's moorlands are a vibrant sea of purple heathers, lilacs and yellows. It is alive with the sound of birds and insects. 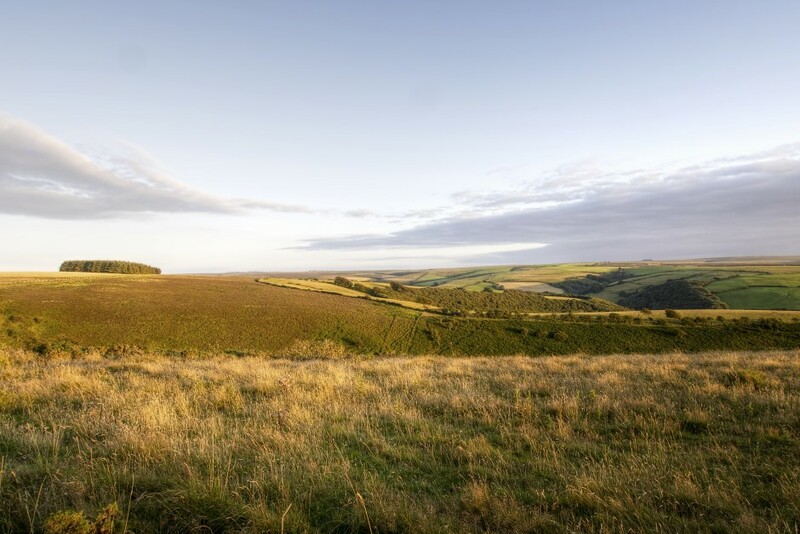 Autumn brings a wonderful golden colour and rustic charm to Exmoor's oak woodlands, and there's always the chance to hear the sound of rutting stags locking antlers. Winter is also a magical time on Exmoor; when it snows the landscape takes on a whole new beauty and snow covered Exmoor ponies are a sight to remember. 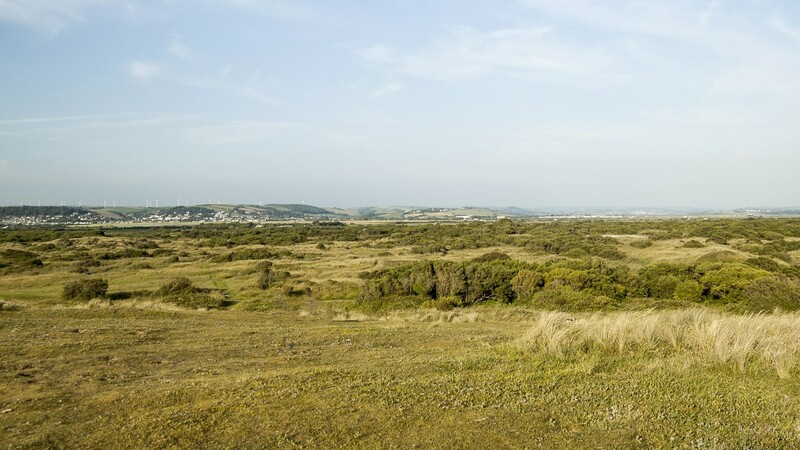 The burrows at Braunton are the largest sand dune system in the UK. It hosts an extraordinarily diverse plant community, with over 400 recorded species of vascular plants. This, in turn, supports a great variety of associated invertebrate species. The burrows uniqueness and biodiversity is recognised in its designation as both a National Nature Reserve and as a UNESCO biosphere reserve. For more information on Braunton, read our holiday guide.